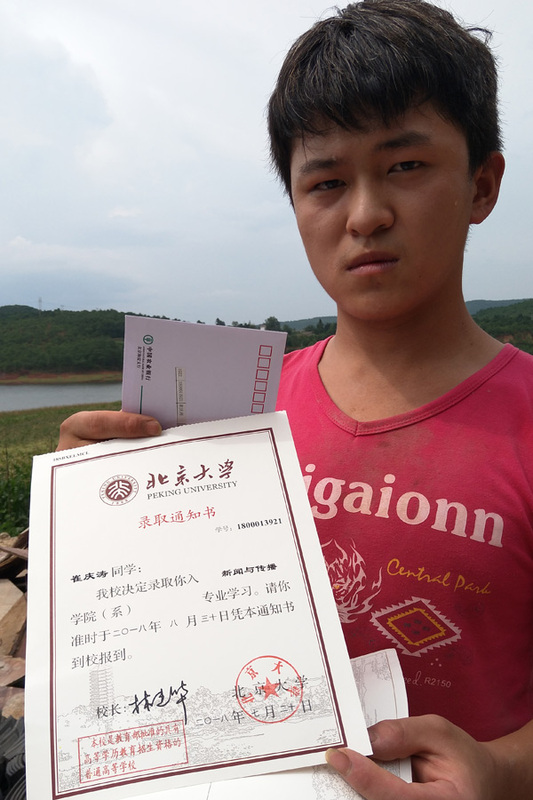 Story of how a poor boy makes it to a top university strikes chord with country's netizens, Zhang Yu and Li Yingqing report. Growing up poor can force young people to mature fast and become independent very quickly. So it was for Cui Qingtao, who graduated from high school this summer. The 17-year-old, the eldest of three children, lives with his family in Wulipai village, Huize county, in Southwest China's Yunnan province. 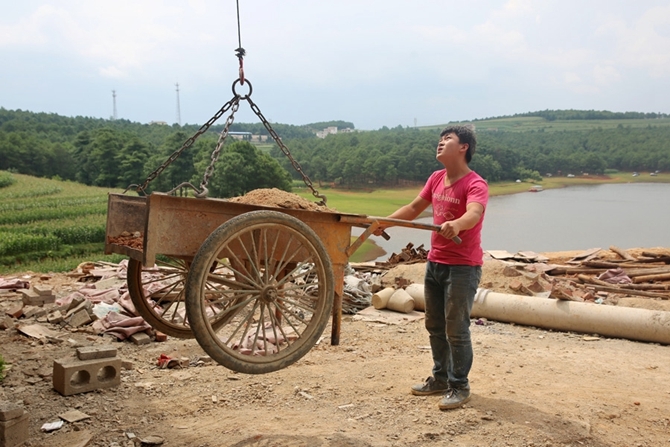 On July 22, while working on a construction site near the family home, Cui received an admission letter from Peking University. In his dusty worker's garb, Cui probably didn't look much like a budding young college student. Indeed, when the mailman arrived, he was too preoccupied with stirring mortar to notice that there was a letter for him. The contents of that letter left his family astounded, however. They had never dreamed that one day their son would be attending one of the country's top universities. "My son, you are amazing!" his father Cui Maorong says. Such a reaction is hardly surprising because in China, the onus is often put on the eldest child from a poor household to help change the family's fate by getting higher education. "I feel happy and excited, because I think my son will not live such a hard life as mine," says Cui Maorong. Cui's family is certainly poor and dependent on government subsidies to supplement their own meager incomes. His parents have done all sorts of part-time jobs, from construction to agriculture, to raise their three children. The family of five still don't make enough money though, and often run up debts just to make ends meet. "We are too busy making ends meet to spare energy on supervising the children's studies," says Cui's mother Xu Shulan. According to Xu, Cui Qingtao and his siblings are very disciplined about their studies. Cui scored 669 points in this year's national college entrance examination and will be admitted to Peking University's School of Journalism and Communication.